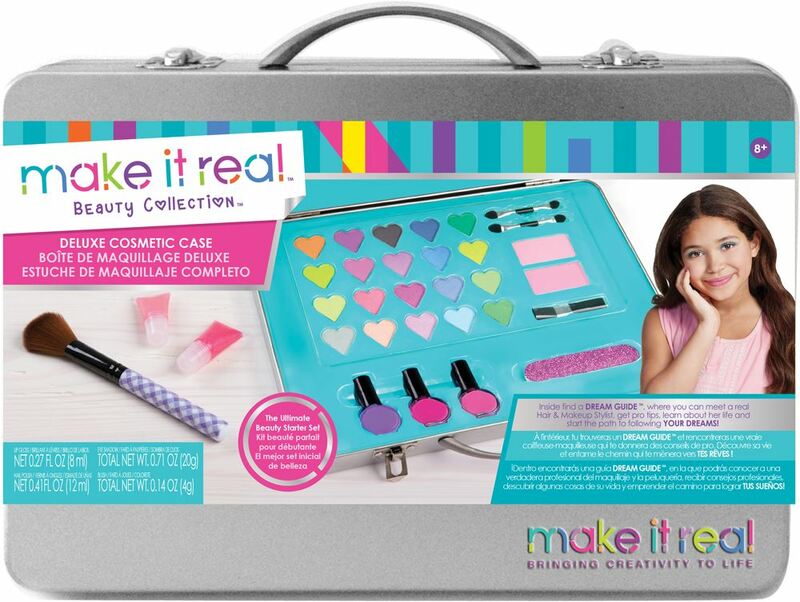 The ultimate deluxe cosmetic set from Make It Real, keeps up with young girls creativity! Providing a wide palette of make up accoutrements, you can experiment with colour and learn the basics of makeup styling. Includes: Set a mirror, 20 eye shadow colours, 2 blush colours, 4 cosmetic brushes, 2 lip gloss pods, 3 nail polish colours, a nail file and a dream guide. Age 8+ years. Part of the Beauty Collection. Distributed in New Zealand by Holdson.